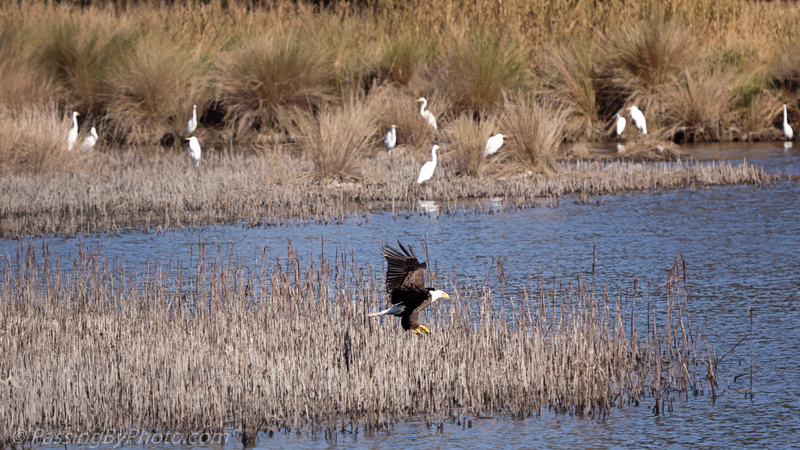 The Bald Eagles were active November 17 at Donnelley Wildlife Management Area, partly due to a fish die off. 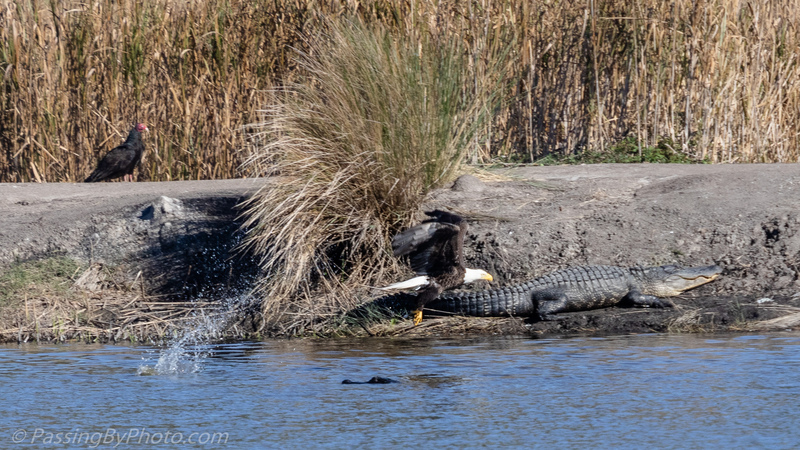 I previously shared a series of an Eagle Fishing in the Canal from that morning. These single shots were taken in the same area. The Eagles ignored the Alligators and the Vultures ignored the Eagles. 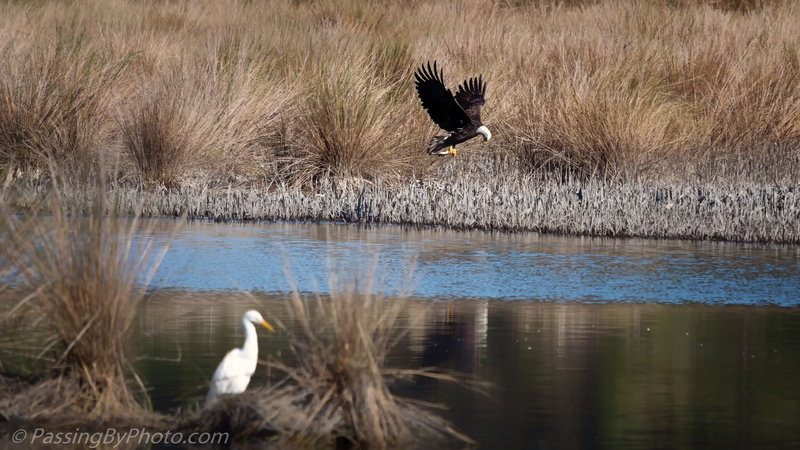 Great Egrets mostly ignored the Eagles, too, feeling no threat on this day. A large group of Ibis left in a panic during one of the Eagle fly overs. Wonderful birds to see, Ellen. Amazing how you captured the 1st eagle with the fish in his claws. At that distance I wasn’t sure the Eagle had something until I looked at the image. It’s always a treat to see they had success.